Jules Moigniez was best known for his many sculptures of birds but he also did some fine models of dogs and other animals. 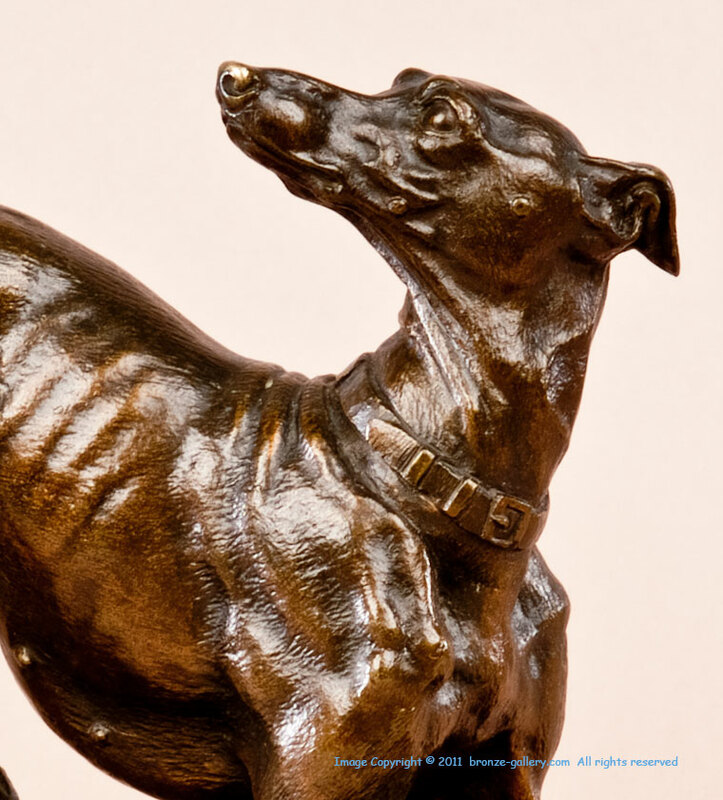 This rare bronze shows a Whippet with a large Hare. 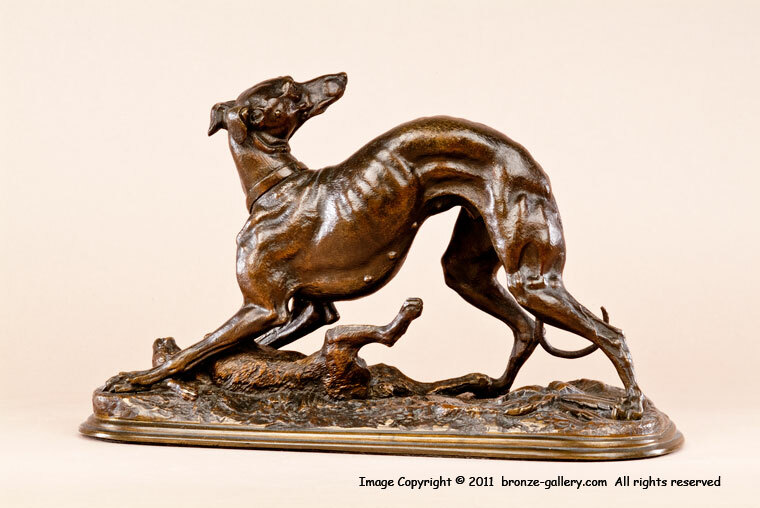 Greyhounds and Whippets were often used for coursing small game like rabbits and hares, and they were prized by their owners. The bronze captures the moment in which the dog has captured the hare and she is posed looking back for her master. It is hard to tell if this dog is a Greyhound or a Whippet but judging from the large size of the hare, we are thinking she is a Whippet since Whippets are smaller than Greyhounds. 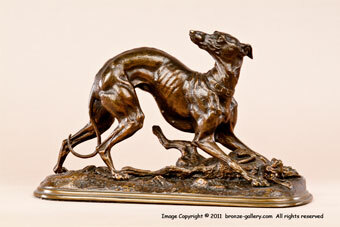 The model is also unusual because it depicts a female dog when most art is of male dogs. A rare subject that does not come on the market often, this is a very detailed and realistic cast done in Moigniez’s own foundry. It has a rich dark brown patina and the cast is very crisp. The Whippet is beautifully sculpted and very graceful as she crouches over her prey.